Lucky Leprechaun Charm Time! Party with bars for St. Pat’s Bar Crawl. 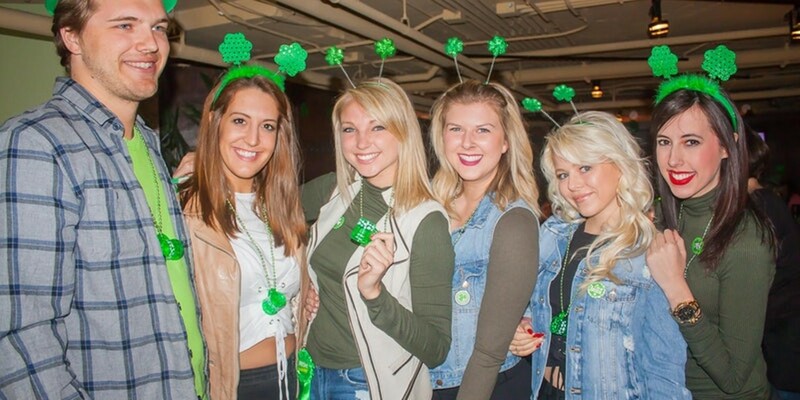 Package Includes (additional venues and information will be added): (2) $5 Gift Cards, Drink Specials ($3, $4 & $5 Specials) and a St. Pat’s Shot Glass Medallion. There's no cover (you may still have to wait in line). Photo Hunt & Online Contest for Best Green Group Photos! Registration is open from noon to 2 p.m. Please do not be late.